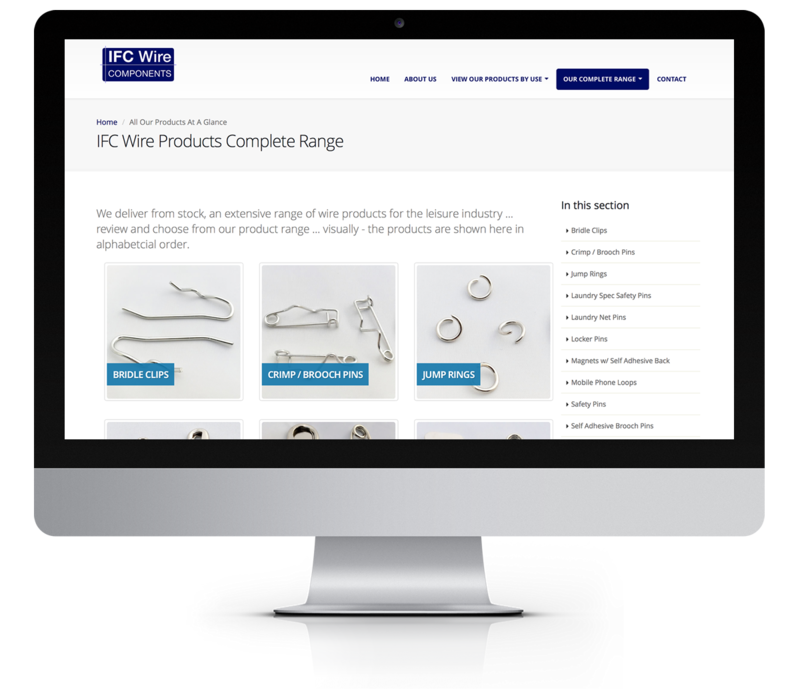 IFC Wire Components Limited, suppliers of various pins, clips, fixings, findings and fasteners to rosette, badge, promotional and locker manufacturing companies. We are an established company with over 45 years experience in the design, manufacture and supply of a wide range of specialist wire forms, in particular, safety pins, crimp pins, brooch pins, badge pins, self adhesive pins, laundry pins, locker pins, fishtail pins, split rings, key rings, key clips, spring hooks, and mobile phone loops. Our products are known collectively by various names but are generally called findings, fixings, pins, clips or fasteners. We supply our diverse range of products to an equally diverse range of customers, including rosette makers, badge manufacturers, sports centres, hotels, spas, locker manufacturers, sports clubs, promotional companies, sporting event organisers, laundry and dry cleaning suppliers along with a fair number of smaller companies who use our products for jewellery making, beading, sewing and card crafts as well. We pride ourselves on delivering high levels of customer service, with an ability to source a wide variety of items not within our main product range. We give everyone the same level of service regardless of your size. Please take a look at the comments our customers have made. A fast and friendly service with the majority of products delivered next day from stock held in our warehouse. We are proud of our service levels and believe this to be a prime factor in growing our company through excellent customer service. The vast majority of our products are available from stock held in our warehouse in the Forest of Dean. Please feel free to browse our product range to see what we offer. If you cannot find what you need, please contact us with your requirements and we will be happy to help.